Innovative Evaporative Cooling - no batteries or ice packs needed! Stay focussed even on these hot days - at work, at home and the outdoors. Reliable cooling for these affected by Multiple Sclerosis. New and lightweight sport vests also available. Chose from our wide variety of products: Evaporative Cooling Vests, Cooling Neckties, Cooling Wristbands, Cooling Bandanas und Cool Patch. NEW: HPXfresh Cooling Products. The complete product line is available here at HeatPack.de. 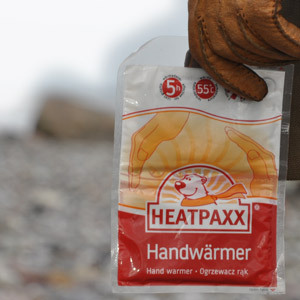 Just open the package and feel warm and comfy for hours with warmpads from HeatPaxx and MyCoal! Coold feet? No way with HeatPaxx foot warmers || toe warmers (#1 rated in NDR Markt 2014) or our amazing insole warmers! The perfect accessory at work, the outdoors or whenever you feeling cold. Suitable for wheelchair user as well! Keep your hands warm with our Hand Warmers and heated gloves! We are further specialised on Shipping Warmers / HeatPacks / Aquapacks which are essential for your wintertime shipment of plants and animals. Another application of these warmers is the protection of your technical equipment and other temperature sensitive products. Comfortable Warmth for these relaxing moments at home with our Wheat Bags sowie Hot Water Bottles. We welcome you to browse through our variety of innovative cooling and warming products. Please do not hesitate to contact us in case you need any kind of support! Our mission is to provide you with excellent products at a decent price. We ship worldwide at decent rates and hope that you enjoy shopping at HeatPack.de. If you are looking for a B2B relation or need individually branded products please contact us.